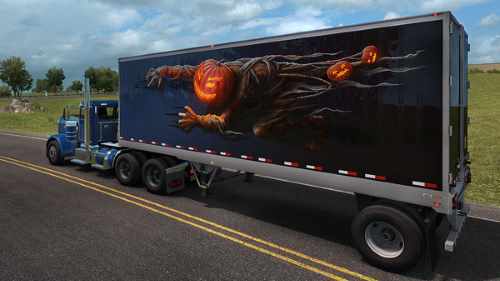 Happy Halloween to you truckers! I hope the roads you drive on won’t be haunted tonight. If you wish to celebrate this ancient celebration in American Truck Simulator, you can do so by getting yourself a Halloween Paint Jobs Pack which is available on Steam. If you’ve already got this ATS DLC, you will get a new surprise trailer paint job available! Keep on trucking and keep on downloading the best mods!